Phantoms are on the prowl in this especially original collection. The central skull-shaped applique stands out all the more distinctly thanks to its luminescent coating. It glows in the dark, reminding the wearer of the transient nature of life. The model remains loyal to its customary codes: the case is immediately recognisable, as are the three-dimensional hour-markers on the inner bezel ring. 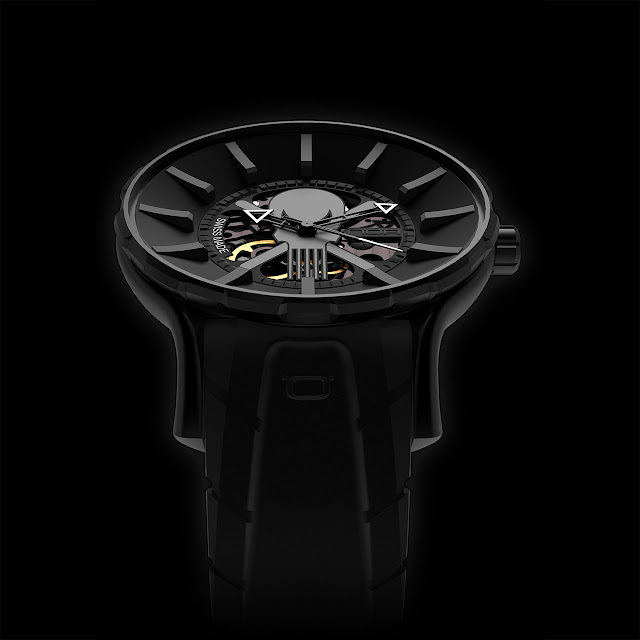 This full-black model is powered by a mechanical automatic movement.